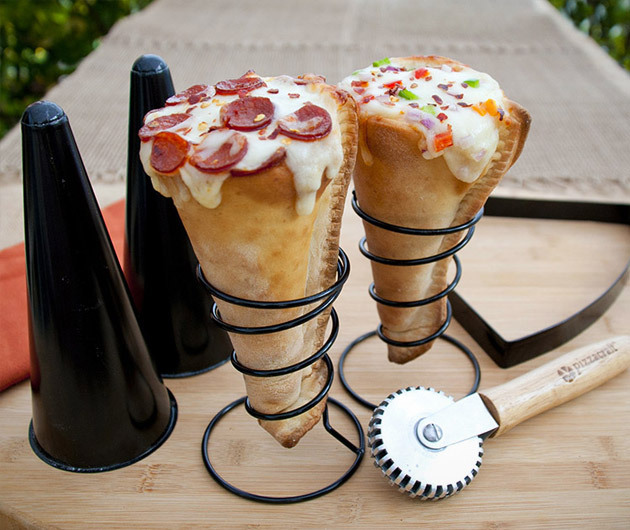 The Pizza Cone by Pizzacraft presents the most innovative way to eat pizza to date. The non-stick cone forms from Pizzacraft allow you to bake or grill your pizza into the shape of an ice cream cone. Once your crust is baked, fill your cone with the toppings of your choice and return to the oven for a unique pizza that you can even take on-the-go.